Notes: A unique design that functions as a super comfortable carrying yoke, or inverts to become a center seat. A great option to take a kid or passenger with, incredibly comfortable as a yoke! Also consider the Extra Seat option for center paddling. The combination Seat-Yoke is an alternative to the drop-in seat. It is lighter weight than an installed extra seat, and it doubles as the BEST yoke system you could hope for. The two straps on the aluminum frame can be pressed towards the center to form a seat, or slide outwards on the frame to function as yoke pads (see picture). The entire fra me can be inverted in seconds. One position is the seat, and the inverted position is the yoke. As a yoke the frame lifts the canoe well above your head for outstanding head clearance and visibility. The long, padded straps provide exceptional comfort and control. 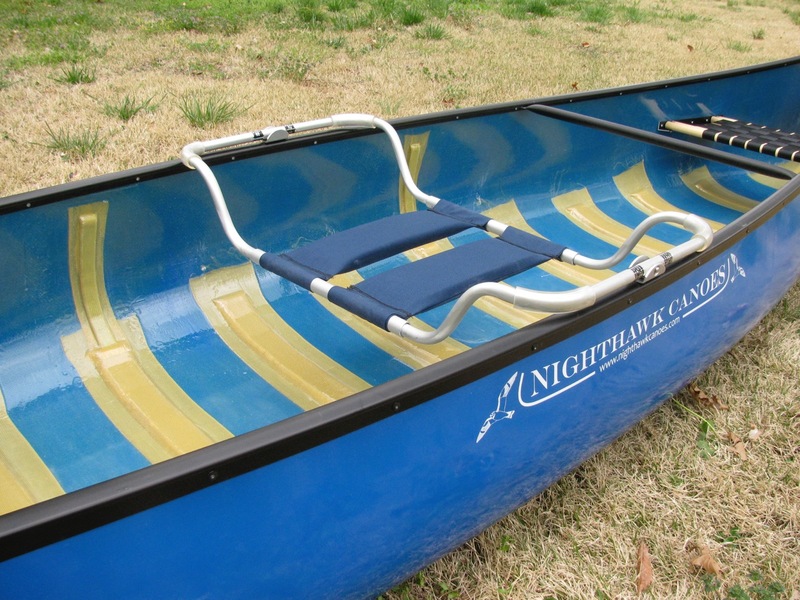 The canoe can easily be tilted to accommodate inclined terrain, without added strain on your arms. The seat frame must be placed at the balance point of the canoe and it rests on top of the gunwales when installed. That means canoe should be transported on a roof rack to avoid scratching your car. It also means it isn’t quite in the best position for solo paddling, but it does fine for a third paddler. I would select this option if you would like an upgraded yoke and an occasional-use alternative to the drop-in seat. 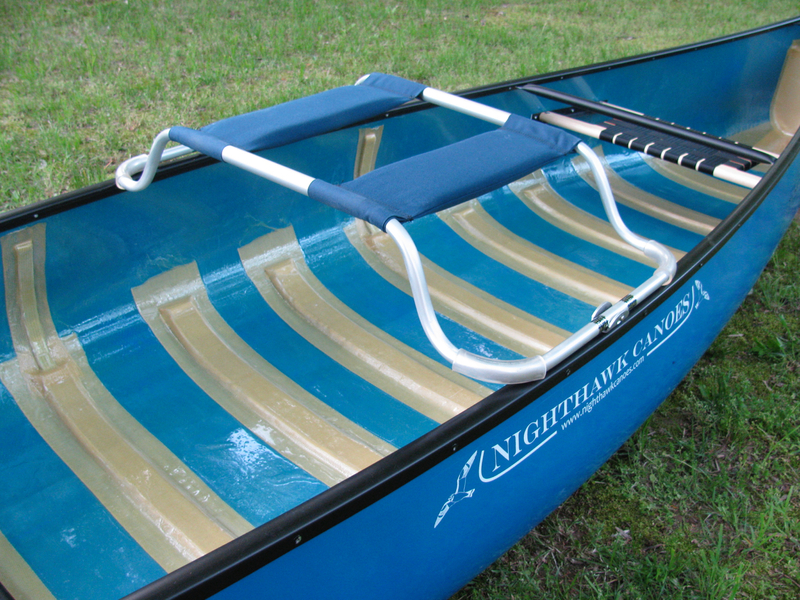 If you will paddle fairly often from the center seat, I recommend an installed extra seat plus removable yoke option.